in time to be enumerated for the 1881 census of Carleton County, Ontario. 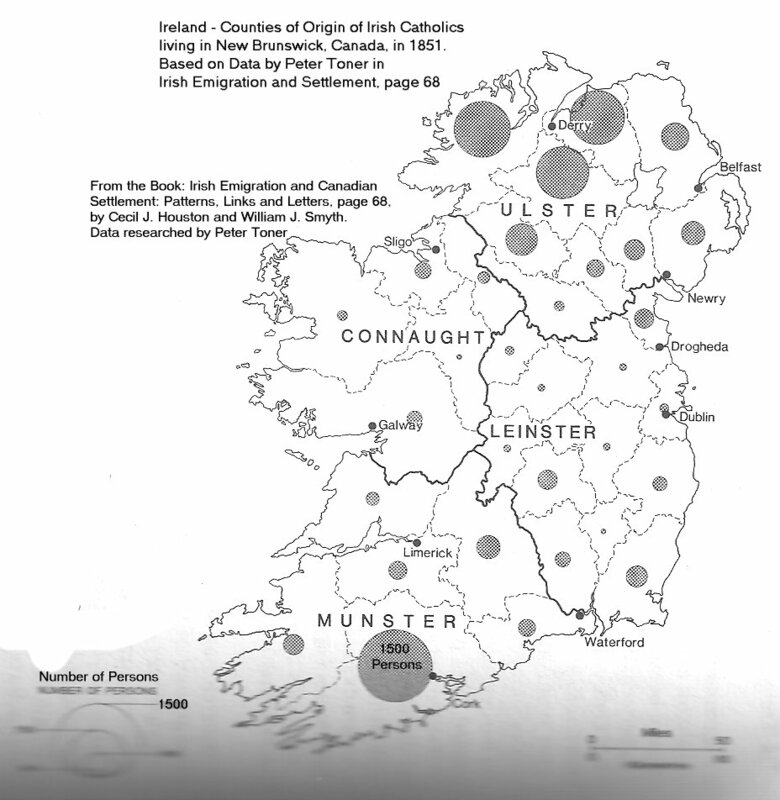 Some of the Irish persons may have come at the time of the Great Irish Famine. Others came after Canadian Confederation in 1867, as civil servants or politicians. CD produced by the Church of Jesus Christ of Latter Day Saints (Mormon Church). BAUCHER, Suzanne	<1845>	F	French	Bir:	NB BOUCHER ? BELLIVEU, Ami Henry	<1855>	M	French	Bir:	NB  BELIVEAU ? BURPE, Ann	<1850>	F	Indigenous	Bir:	NB / BURPEE ? CALLAGAN, Peter	<1829>	M	Irish	Bir:	NB  CALLAGHAN ? CROOKSHANK, George	<1857>	M	Scottish	Bir:	NB   CRUIKSHANK ? HALATT, James	<1846>	M	Scottish	Bir:	NB / HALLETT ? HARDIE, John	<1835>	M	Scottish	Bir:	NB    HARDY ? NICKINSON, Ellen	<1845>	F	Irish	Bir:	NB  Nickerson ? PURSAL, Abigal	<1811>	F	English	Bir:	NB   Purcell ? ROCK, Patrick	<1858>	M	Irish	Bir:	NB   ROCHE ? New Brunswick, between 1845 and 1854, from the Fitzwilliam Estate in County Wicklow, Ireland. This really is about bodies! did in fact go there, travelling on the ship, the Star. of these unmarked graves (below) has been passed on by word of mouth only. Very sad. WEIR family of Ireland, in 1846. Michael FURLONG, age 47. Husband of Elizabeth FURLONG of Ballard, County Wicklow, Ireland, June 5, 1848. Liscolman, County Wicklow, Ireland, June 7, 1848. Coolfancy, County Wicklow, Ireland, May 31, 1848. Martin NOWLAN / NOLAN age 9. Son of Pat & Betty NOWLAN/NOLAN of Moylisha, County Wicklow, Ireland. May 31, 1848. John SUMMERS age 50. Husband of Betty SUMMERS of Newry, County Wicklow, Ireland, June  4, 1848. Pat TYRRELL age 70 of County Wicklow, Ireland, June 4, 1848. Margaret WHITE age 37. Wife of David WHITE (deceased) of Coolfancy, County Wicklow,  Ireland, June 7, 1848. Richard JONES age 40. Husband of Mazzy JONES of Ballyshonog, County Wicklow, Ireland (date unknown) 1848.
they may have been brought to the mainland to be buried. Other wise, they too were interred there, 1848. Magna Charta" and the "James". and Western Quebec at Catholics and Protestants. Fort Coulonge, Lower Canada, 40 miles west of Ottawa. See them on the above census list. Robert O'Driscoll and Lorna Reynolds, Celtic Arts of Canada, Toronto, 1988, ISBN 0-921745-00-1, pages 231-235. Poor, "Ignorant Children": "A Great Resource," The Saint John Emigrant Orphan Asylum Admittance Ledger in Context. A paper which contains a wealth of information and analysis regarding the pre-famine and famine Irish migrations to Saint John, New Brunswick. And a Facebook Group for Irish settlers in Johnville, New Brunswick.